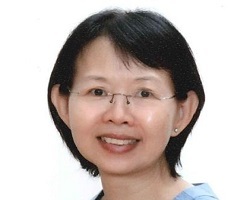 Ruth is a trained teacher with Singapore NIE (National Institute Of Education), specializes in Chemistry and Mathematics. Ruth was full time teacher with ACS and Anglican High before she became a full time homemaker when her children were young. She returned to teaching profession when her children entered secondary schools. She is now an adjunct teacher in a secondary school, while giving private tuition at home. Ruth obtained her Bachelor Of Science from National University Of Singapore. She also completed graduate diploma in Business Administration. Ruth is constantly in touch with the Singapore education system. Her wide exposure allows her to teach Secondary Math and Chemistry covering Express stream and Normal stream. She also teaches students from IP (Integrated Program) and IB (International Baccalaureate) Schools. Ruth is active with youths, serving some years as Sunday School Teacher in church. Besides helping students academically, Ruth constantly encourages them to identify their passion and devote wholeheartedly to it. In her younger days her strong passion in music led her to form a band, playing guitar and performing with friends who share the same passion. They practiced regularly over weekends and performed at special occasions frequently. Ruth always shares these experiences with students and encourage them to live their passion fully.